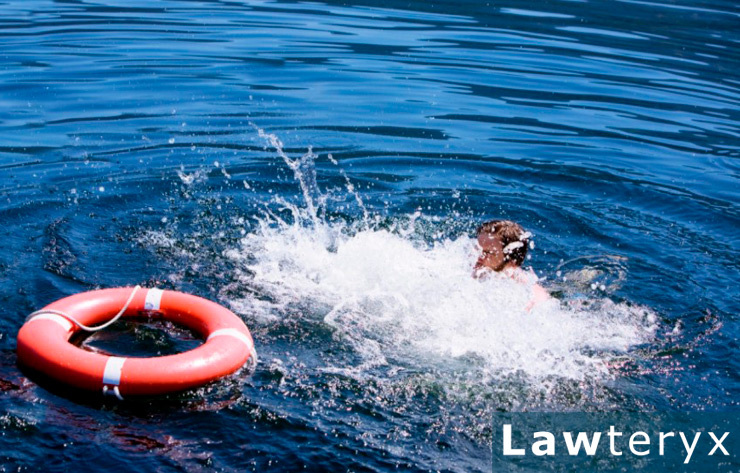 Did you know that approximately 10 people a day die in unintentional drowning accidents? Out of those victims, two are children ages 14 and under. According to the CDC, drowning is the 5th cause of unintentional death in the United States. Between the years 2005 to 2014, there were an average of 3,536 people who drowned annually. Many of these drownings could be prevented if several safety precautions were followed. Below are some of the suggestions to remain as safe as possible while swimming. Never swim alone. Always use the buddy system. Anything could happen alone, even if you are a good swimmer, so make certain someone is with you at all times. Only swim in supervised areas that are approved for swimming. Don’t swim in strange areas that are unfamiliar. It is vital that you know CPR in case someone you are with may be in need. Never mix alcohol with swimming. You should always be 100% alert and not under the influence when swimming. If you own your own pool, it is necessary to have proper barriers around the pool to protect small children from falling into the pool. Have the appropriate safety equipment available. Life jackets should be used at all times if in open waters. Have life saving aids on hand to throw to distressed swimmers, if needed. Keep unused pool toys away from the pool area. Everyone should know how to swim before they are in water that is over their head. Follow these safety tips and always remain calm if a dangerous situation were to arise. With the proper precaution, swimming is a fun summer activity for everyone to enjoy.